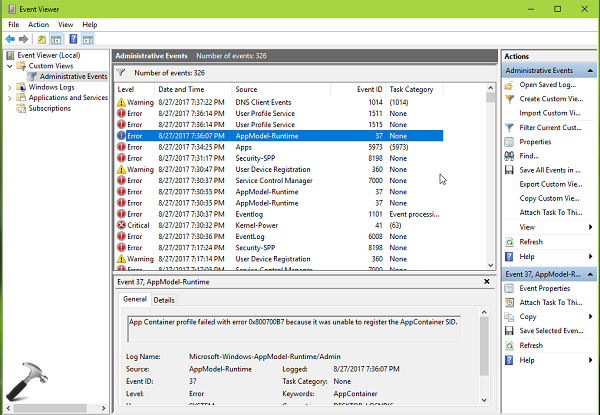 Learn how to fix "App Container profile failed with error 0x800700B7 because it was unable to register the AppContainer SID" for Event Viewer in Windows 10. After upgrading to Windows 10 Creators Update (V1703), some users may found a strange error being logged into the Event Viewer. This error however has no crucial effect on the system performance or user experience but it is unnecessarily logged and power users might want to fix it, to clean Event Viewer. App Container profile failed with error 0x800700B7 because it was unable to register the AppContainer SID. 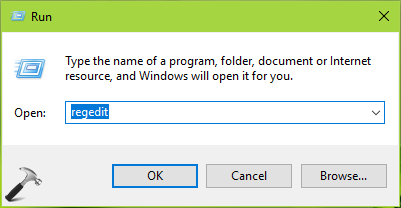 So in case if your Windows 10 logs this error, here is a small workaround that you can try to fix it. Though Microsoft hasn’t addressed this issue yet, but this workaround can be used temporarily until the Redmond software giant offers any patch. 4. Finally, set the Value data to 3 from 2. Click OK, close Registry Editor and reboot the machine. In few restarts, you’ll find that the error is no longer logged under Event Viewer. Thus in this way, the error seems to be suppressed.